Christine is gone. Erik has freed her to marry Raoul. Now, alone in his lair, he despairs, feeling he must be dying of love, or the loss of it anyway. Then... an opportunity presents itself. 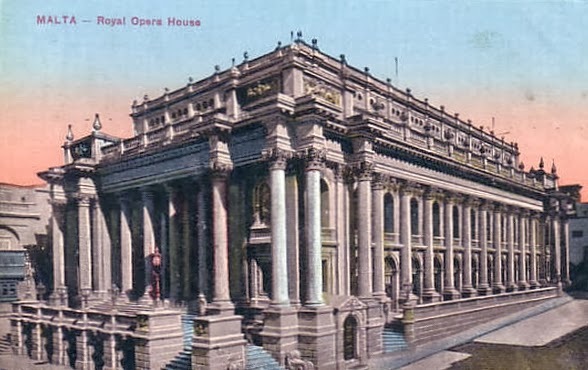 The Royal Opera House of Valletta in Malta has been destroyed by fire and Erik decides to purchase it and give it, and himself, a new lease on life. Together with the Persian's servant, Darius, and Madame Andrea Giry, his long time friend, they will raise it from the ashes and he, Erik, the Phantom... will now have his very own Opera House to command! This is a wonderfully original premise and very believable as you can imagine Erik's excitement at such a task no matter how daunting the destruction facing him. He has the knowledge as a world class architect to, eventually, bring his vision to life! Though it seems this jewel has been damaged almost beyond repair. Erik decides to do some fundraising and find investors to bring in the funds to make the hugely expensive reconstruction. How he and his friends go about this makes for engaging reading. Will Erik forget Christine and move on with his life in this new place? Will anyone else ever take her place in his heart? 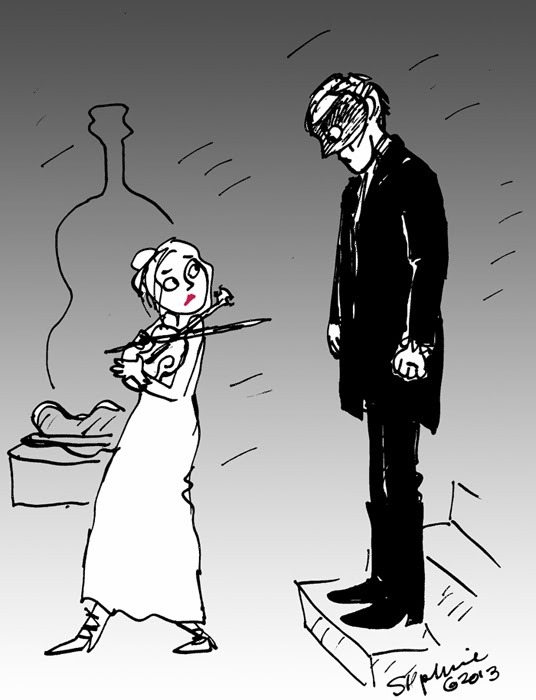 Desiree', an opera house employee with an interest in learning the violin, perhaps? 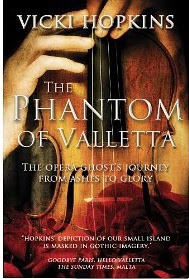 There are other surprises in store for the reading audience so get a copy of Vicki Hopkins' "Phantom of Valletta" and enjoy the pleasures of the Phantom's opera! I so love the cartoon! Thanks. You are very welcome, Vicki! I LOVED your book and wish that Erik could have his very own Opera House!